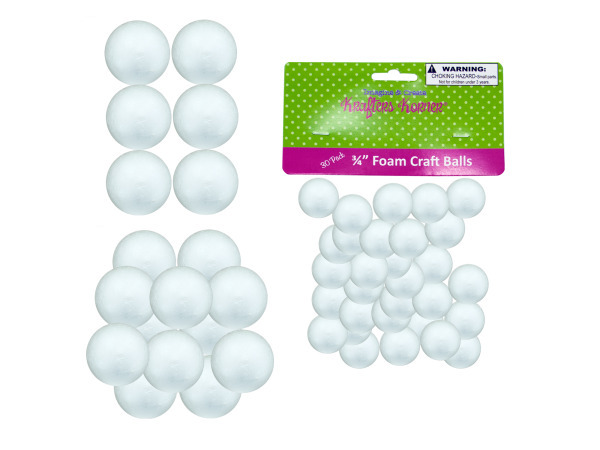 Perfect for school or crafting projects, these Small Foam Craft Balls are made of high quality Styrofoam in assorted sizes. There are three assortments: 30 pack 3/4" balls, 12 pack 1" balls and 8 pack 1 1/2" balls. Choking hazard - not for children under 3. Comes packaged in a poly bag with a header card.